Carolina New York, San Juan. Called at Ponce and Mayaguez between arrival and departure days in San Juan. Iroquois New York, Jacksonville, Miami (September only). New York, Miami (December only). Mohawk 1) New York, Charleston, Jacksonville. 2) New York, Charleston, Jacksonville, Miami. 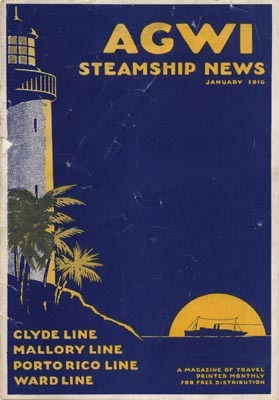 See the archives section for more brochures of Clyde Steamship Co. This page last updated April 2, 2011.